If you haven't heard about Star Citizen, the space-simulator epic is the newest project from Wing Commander creator Chris Roberts, launched back in 2012 when a teaser website by "Roberts Space Industries" popped up. The website hoped to secure crowdfunding for a two part project, a massively multiplayer online space adventure set in a persistent world, and a single-player (cooperative included) campaign dubbed Squadron 42. 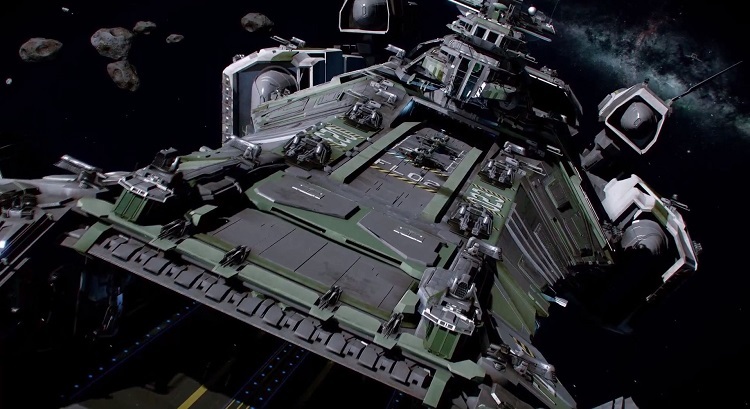 It's been just over a year since the process began for Star Citizen, and Cloud Imperium Games has managed to rack up a whopping $30 million in funding. This extra income isn't just for profit though, and has been pumped into "stretch goals" which can be viewed on the RSI website. The latest milestone means developers will focus more on Squadron 42, upgrading it to start with a massive space battle. The new upgrades will turn Squadron 42 into a "true spiritual successor to Wing Commander," according to the website. Developers plan to put players right into the action, opening the campaign with an epic dogfight, rather than prattling through a boring set of training patrol missions. The additional funding will allow them to create enhanced mission designs, and allocate more resources in order to create a better game experience overall. The milestone also sees the release of the Origin 890 JUMP craft. According to the website, the 890 JUMP is an "interstellar super-yacht with exquisite styling and an array of high quality upgrade options." In short, it's a luxury item, one with customization that will allow players with a lot of cash to cruise in style, showing off their earnings. Only two stretch goals remain, and the website cuts off at the $32 million mark. It will be interesting to see if Cloud Imperium can secure another two million before the project is completed.